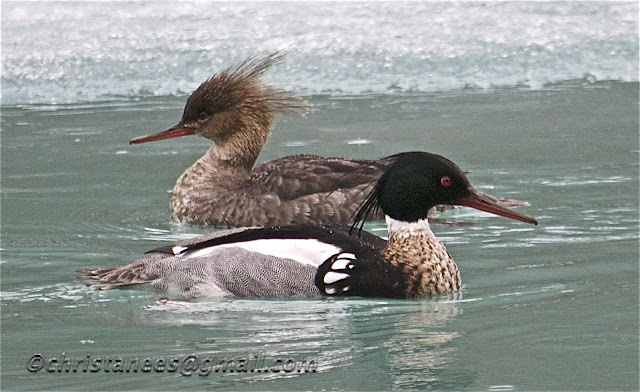 These Mergansers are such a beautiful pair. I had to sneak up on them to capture this photo. spoil all the fun of trying to capture a photo. I'm sure they were wondering why I was hiding behind a boat dock!! The male was always between me and the female protecting her. The lake still had a lot of ice so flying away was not their best option. in coastal bays and a sea. These two were on Kenai Lake. Love the 'bad hair day' look.